I'm going to deliver a Complete Singleton Design Pattern in Java Tutorial here. In Java, Singleton Pattern ensures that there is one and only one instance of a class is created in the JVM (Java Virtual Machine). It is one of the Creational Design Patterns. 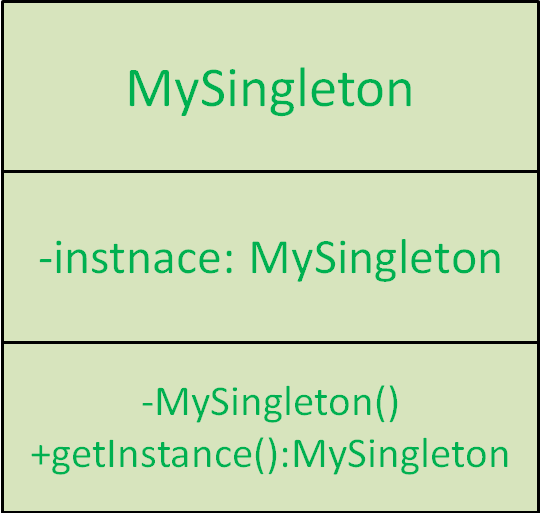 Static instance of the singleton class. Static utility method to create and access the instance globally. No Thread-Safety that means cannot use in Multi-Threaded Environment. Because of Eager Initialization, it creates objects without any Client request or Client does needed it. Unnecessary waste of memory for unwanted objects. Why should we use Enum as Singleton in Java? a) It are very easy to write Singleton Objects using Enums. c) By Default, only one instance of Enum is created in JVM. a) It does NOT support Lazy-Initialization. If we don't follow the following approach, Serialization will breaks Singleton Pattern Implementation. We need to implement readResolve() method because during Serialization process readObject() is used to create instance and it return new instance every time. However, by using readResolve() method we can replace it with original Singleton instance. How to solve Reflection Breakage with Singleton Pattern? The "volatile" modifier gives latest up-to-date value always in a most accurate manner in Multi-Threaded Environment. How to solve clone() Breakage with Singleton Pattern? Implement clone() as shown below. This final version is the best Singleton Design Pattern approach. Singleton Pattern Vs Static Class? When our class does not have any state, then use Static class. When our class have some state, then don't use Static class. Static class provides better performance than Singleton class because it is evaluated at compile time. Static class is not flexible because it does not support overriding. We cannot override static methods in Java. Single class can support Inheritance and Polymorphism where Static class cannot. Static classes are always eagerly loaded where as Singletons can be implemented using Lazy loading approach. Testing Static class is bit tough than Singleton class. But both are bit tough to test. We can clone Singleton class object where as Static class does not support this. 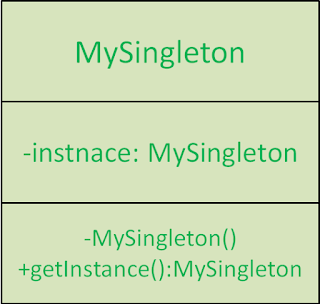 Singleton objects store in Heap Memory where as Static class objects store in Stack Memory.